Browse the latest new homes by Sanctuary Retirement Living nationwide. ​ ​Sanctuary Retirement Living is a brand used by Sanctuary Homes, which is part of is a part of one of Britain’s largest housing associations, Sanctuary Group. This part of the Sanctuary Homes output is aimed at buyers in later life, who want to match the security of homeownership with the benefits of new build properties that are designed especially for older people and the security of access to the care they may need. 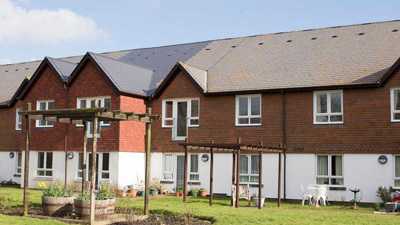 The choice of one- and two-bedroom apartments at these developments and sold on the Shared Ownership scheme equally well cater for older people and limited budgets. The Sanctuary Group looks after some 85,000 properties across the country and is also planning to construct another 30,000 homes in England and Scotland over the next ten years. These will be built by an in-house construction team and, on some projects, in a joint venture with established housebuilders and construction companies such as Galliford Try. Choose a Sanctuary Retirement Living development in this area.